BetterBets.io is a online Bitcoin Casino with a heavy focus on innovation and fairness. It was created in 2015 by a team of cryptocurrency enthusiasts and its unique and nicely designed games have since been receiving positive reviews from the community. One of the great innovations that was popularized with cryptocurrency gambling was provable fairness. In short, such technology allows for players to verify their bets so they can be sure that the house isn’t cheating them by fixing the odds against them. This makes for a great environment for players with such technology, they no longer have to trust the casino they’re playing on for fair play. Given that BetterBets’ platform utilizes such a feature so its users can always verify fairness on BetterBets’ part. Another aspect of BetterBets’ innovation is their use of Moneypot’s technology. Moneypot is a highly trusted bitcoin wallet platform. The partnership with Moneypot allows Betterbets users to access their as well as Moneypot’s services by registering for a single account. Fans that aren’t just interested in betting can also invest in the bankroll of Moneypot.com and earn from profits of BetterBets.io along with other casinos powered by Moneypot. BetterBets.io features 3 main games where players can gamble against the house and a newly introduced skill-base game where players can play against each other. More specifically, there’s a dice game with a slim house edge of 1%, a virtual horse racing game and a plinko game. A of their skill-based game, it’s called C.O.R.E. 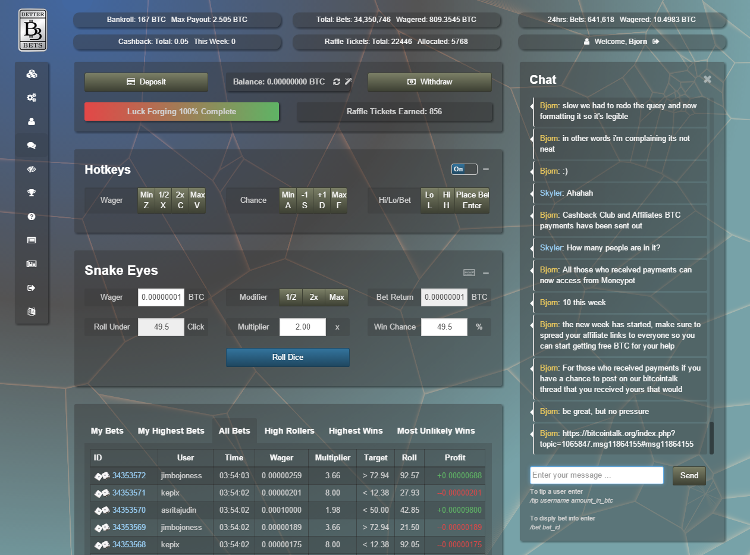 but is currently only playable with BetterBets’ in-house currency. This brings us to the next innovation BetterBets.io is bringing to the table. 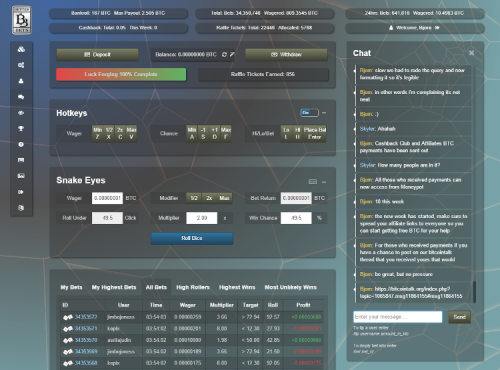 Earlier this year, BetterBets’ team introduced their own altcoin, Rubies. It’s a coin similar to bitcoin except that it’s not mined by powerful machines, but rather through Proof of Stake; a procedure that rewards people having an active wallet with newly generated coins with chances proportional to how many coins they own already. But how does one acquire Rubies in the first place? Aside of the fact that Rubies are traded on multiple altcoin exchanges against bitcoin, BetterBets.io has an in-house distribution model for them called “Bet-Mining”. Players in BetterBets.io are eligible for this program that pays in Rubies. Every time a player wagers 1 BTC, he’s rewarded with a certain amount of Rubies. Furthermore, much like bitcoin mining, there are going to be halvings where the rate at which the coins are brought out through “Bet-Mining” is going to be halved. 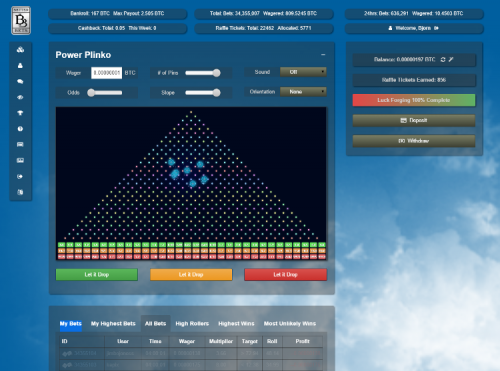 Rubies are also given out in a lottery ran by BetterBets.io. Moreover, betting with Rubies is also available with games in BetterBets.io, players would just have to make sure that they have switched to the Rubies game page to begin betting with the coin. Betting with Rubies is also available for other games featured in third party websites that have adopted Rubies. 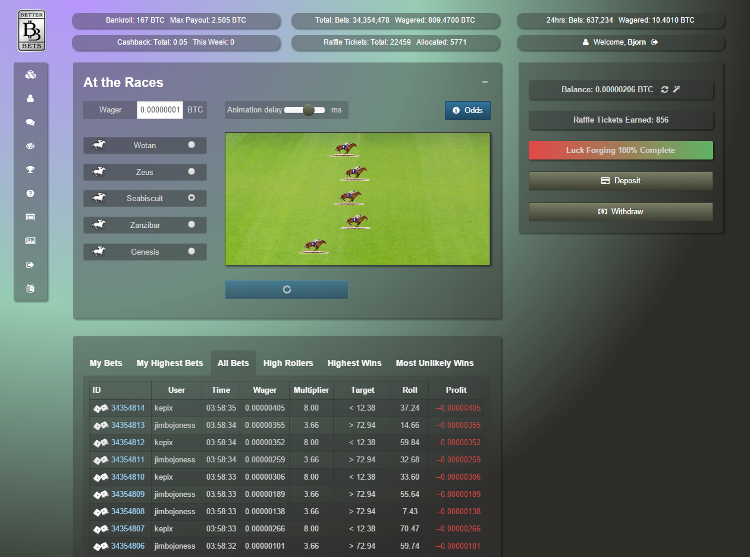 BetterBets.io welcomes automated betting and even supports infrastructure for players to do this. Their bot-API is compatible with the one of Primedice which already makes a great variety of pre-existing and easily programmable bots usable on the website. It’s also possible to automate betting with the in-house bot, BetterBot. Given that BetterBets.io is taking such a non-traditional path when it comes to betting, it isn’t surprising that their feature list is so great. The last couple of features were special enough to warrant an extra category in order to include them. First, BetterBets’ faucet allows players to receive free satoshis. Unlike other casinos though, the bonus is stackable and aside of the 5 minute time limit, users can use it even when they have a balance greater than zero. Luck forging lowers the house edge down to 0.5% once a player is fully forged (after making 1,000 non-zero bets), the Luck Forging indicator will indicate that the feature is ready to be activated. Once activated, the Luck Forging will last for 20 bets and the bet amount is limited to the five times the average bet that the player has placed during his betting streak while charging his Luck Forging. The people behind BetterBets truly seem like the cryptocurrency experts that they claim to be. They’ve done a tremendous job at innovating and their casino immerses players in a fun and social gambling experience. Something that isn’t just achieved through the website’s chat but also through competitive player vs player wager games and common goals like the platform’s altcoin. BetterBets does not currently offer any Bitcoin bonuses to its players!